This large 8 candle chandelier features a winding floral design and intricate details throughout. 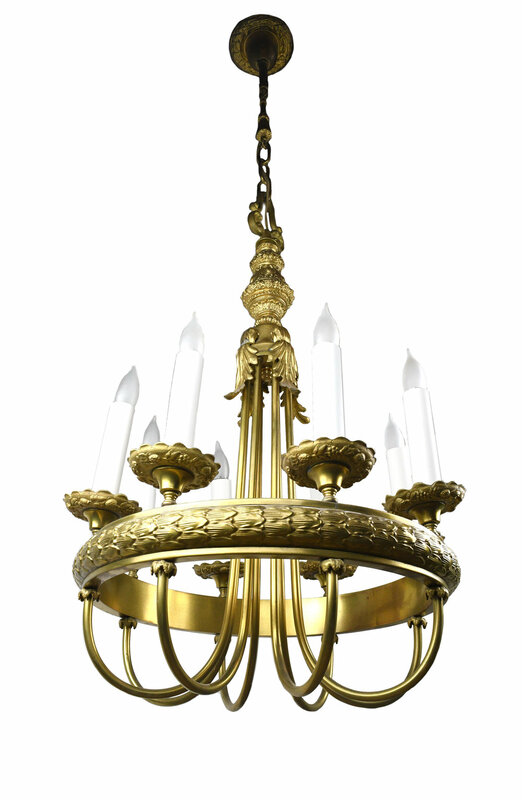 8 symmetrical looping arms jut outward from the center of this beautifully crafted brass chandelier. Be sure to include the Product ID AA#48111 when making your offer.